Thinking of expanding your e-commerce business? Want to reach more prospective customers and penetrate new international markets? Then, you need to go mobile! No matter what you sell, an efficient e-commerce app solution is what you need. It must be designed to ensure optimal functionality of your web store. And that’s where Inno Commerce comes into play! Inno Commerce is a feature-rich, ready-to-launch, custom online shopping cart platform that offers extraordinary shopping experiences. Our online e-commerce platform gives you complete control of your website and mobile app. It’s so easy to customize that you can launch an ecommerce store in just 5 days. That’s right! No need to wait for development. And to add the cherry on the cake, we provide 3 months FREE bug support after the project delivery. Awesome platform, incredibly organized, highly responsive and out of the box designs. Thanks Innofied, my store is looking great. Experience with this Inno Commerce concept was exciting, they created a great app and website and have easily solved all our problems. 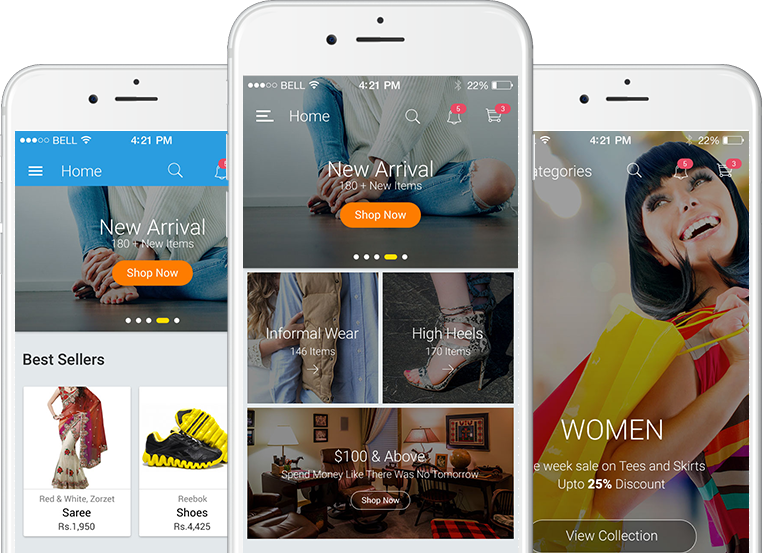 We like to thank Innofied for their e-commerce solution that helped us to launch a user-friendly e-commerce app. We highly recommend this platform. Want To Create An E-Commerce Solution?